Java is by far one of the most popular open source languages globally. Java is a platform independent, architecture neutral, multi-threaded, high performance programming language equally suitable for desktop & web applications development. The write once and run anywhere feature of Java along with its stable & seamless scalability make it the perfect language to build simple to complex enterprise level applications development. GoodWorkLabs is recognized for its rich web based application development for both server and client side. We have a passionate Java and J2EE development team based in both Bangalore and San Francisco, Bay Area. We follow pair programming methodology, along with continuous integration (using tools like Cruise Control), TDD (test driven development) among other extreme programming (XP) paradigms. Also we work with great Java programmers from around the world. We offer comprehensive Java application development solutions, which include software architecture, designing and development, project solutions, and software consulting. Our Java expertise covers rapid development using grails, CMS-based solutions, portal server development, SAAS applications, Business Intelligence applications development, scalable applications development using J2EE Technologies and interactive web based application development. We at GoodWorkLabs have a long lasting and successful technology partnership with Flipkart – India’s leading eCommerce company. Our technology experts and consultants worked hand-in-hand with Flipkart’s teams to deliver key solutions. Upon continued success, GoodWorkLabs supported on the Java technologies as well. Soon, we had worked on UI development effort on the seller platform. Read more about our technology partnership with Flipkart. GoodWorkLabs usually handles the end-to-end Java web development, including requirement gathering, architecture, design, development, testing, deployment and even your go-to market strategy. However, if your requirement is to just add great Java app developers who can work remotely or from your location, you can hire our app developers and kick start your work immediately. 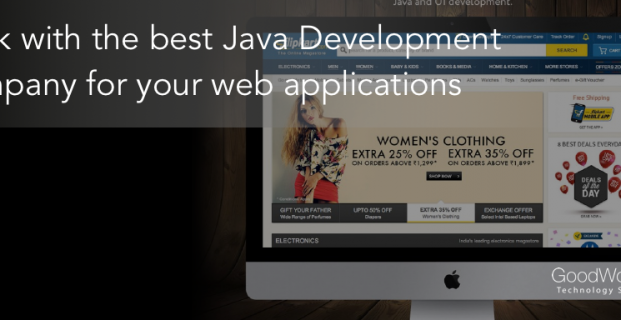 Want to rapidly develop a rich web application with Java or J2EE? Request a FREE quote today!